Mirch Masala, Daya Shankar’s restaurant in Beijing’s financial district, had been open for barely two weeks when, on a recent day, it was already mobbed with expat Indian executives taking their lunch breaks to sample the familiar tastes of Indian cuisine. “I’m planning to open up a lunch buffet here to cater to my guests’ demands,” Shankar said, proudly gesturing around his ornate establishment. Approximately 5,000 Indian nationals, including entrepreneurs, business professionals and students, live in the East China region, according to estimates from the Indian Consulate in Shanghai. The rising numbers of Indian expats leads to greater demand for Indian restaurants. 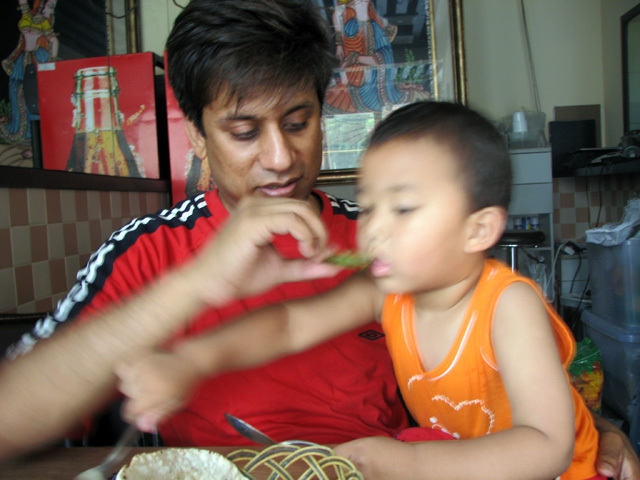 Indian cuisine has also become more popular with young Chinese locals and non-Indian foreign tourists. 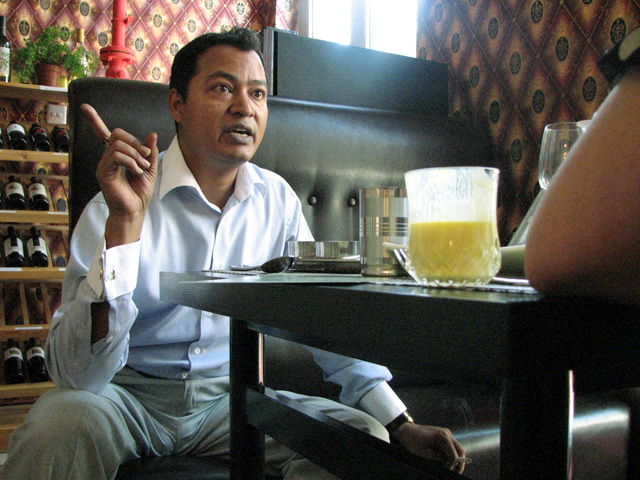 Yet life as an Indian businessman in Beijing has not always been a bed of roses for Shankar. One restaurant he opened in the bustling tourist area around Houhai Lake was shut down by authorities for “development” reasons. In addition, working with incompatible Chinese business partners has strained Shankar’s relationship with the city he otherwise loves. “China has [lots of] regulations because it is a Communist country, and [Chinese officials] don’t prefer [those who have] their own ideas to run their business,” Shankar said. He has had to shut down five previous restaurants he opened in joint ventures with Chinese nationals because of “fundamental differences in business mentality,” he said. Moreover, Shankar found his Chinese partners less “mature” in marketing and communication skills, especially when dealing with foreign customers. For example, he felt the Chinese know little about cultures beyond their own. Yet as more Chinese tourists travel the globe, he believes that the younger generation is improving on this front. Shankar’s take on economic reform was not as optimistic. Since China opened its doors to international markets in 1979, business models within the country have had to be altered to suit a broader, more international clientele. Shankar thinks this goal has not yet been reached. “The Chinese have not had enough time to develop a strong capitalist mind,” Shankar said. Yet, other Indian expatriates see a positive side to Chinese business ethics. “The Chinese have great advantage over the Indians because they are more hardworking,” said Raman Gupta, a restaurateur in Shanghai for the past four years. “Indians are too pampered,” he said about how most Chinese do their own housework, while even middle-class Indians often hire servants. Gupta has high praise for the efficacy of the Chinese government’s business structure over India’s “organized chaos” democratic model. Both Gupta and Shankar are married to Chinese citizens. But despite personal and business ties to China, both men express a desire to return to their homeland.